Maersk Line announced it has today ordered 11 new ultra-large second generation Triple-E containerships from Daewoo Shipbuilding & Marine Engineering (DSME). Ordered to replace smaller, less efficient ships in the Maersk Line fleet, the new vessels will be the shipper’s largest and are intended to enter Asia - Europe service between April 2017 and May 2018. They will sail under Danish flag. The new building contract, valued at value of $1.8 billion, will see the construction of 11 second generation Triple-E container vessels, with an option for six additional vessels. The ships will have a capacity of 19,630 twenty-foot equivalent (TEU) each, a length of approximately 400 meters (m), width of 58.6m, and a 16.5m draft. The contract was signed by Sung-Leep Jung, President and CEO of DSME, and Søren Skou, CEO of Maersk Line, at a ceremony at Maersk Line’s headquarters in Copenhagen. 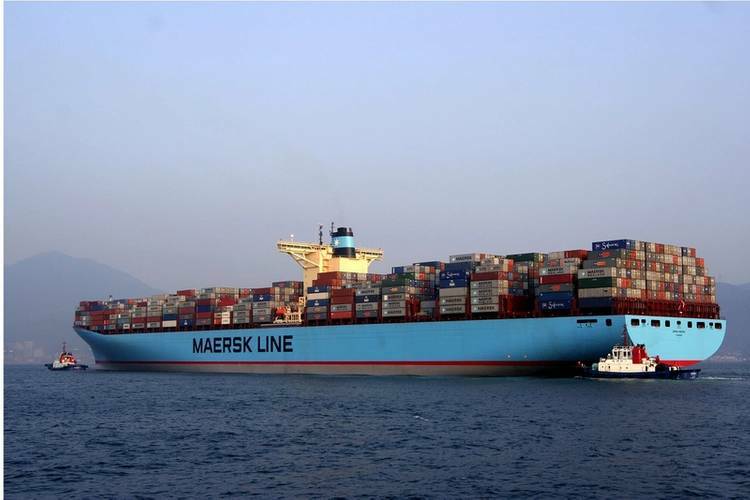 This is the second new-building order in Maersk Line’s investment program, following the seven 3,600 TEU feeder vessels announced earlier this year. Over the coming five years, Maersk Line plans to invest $15 billion in new-buildings, retrofitting, containers and other equipment, the company said, noting it will thus be able to maintain the necessary capacity to grow with global demand as well as replace less efficient tonnage. 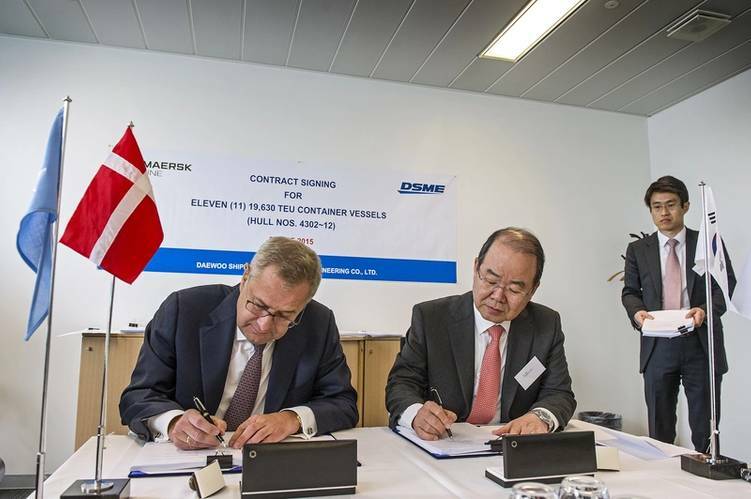 Maersk Line has a long relationship with DSME. Most recently, DSME built the first generation Triple-E vessels, the last 20 of which will be delivered in June 2015.